What Is Oil Pulling And What Are Its Benefits? Oil Pulling Explained! 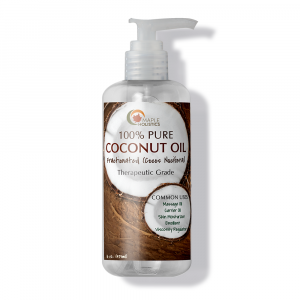 Home | Bath & Body | What Is Oil Pulling And What Are Its Benefits? What Oils Should Be Used For Oil Pulling? Brushing your teeth seems like a pretty important part of life, right? Well, neglecting to brush your teeth can lead to some pretty devastating consequences, anyway. Don’t find that out the hard way! Tooth decay, rotting, and gingivitis are just a few of the repercussions that are associated with poor dental hygiene. It’s not just your mouth that will suffer, though – the mouth is a gateway to the rest of the body. Neglecting your teeth can leave every part of you prone to an assortment of infections and problems. This is serious because each of these problems can take a significant toll on your overall health! With that being said we can safely conclude that, yes, brushing your teeth is not only helpful, but pretty much vital – right? Oil pulling for bright teeth. Prior to the advent of modern tooth brushing, there were a number of different ways in which people cleaned their teeth and mouth. One of those ways which has stood the test of time, and remains a highly-effective and beneficial form of mouth cleaning to this day, is Oil Pulling. A remedy which involves “swishing” oil around the mouth, Oil Pulling has been practiced in a number of periods and places throughout history. It has been praised for its health benefits to the mouth as well as the entire body. 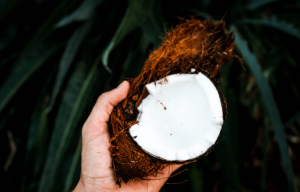 We’ll cover all of the ins and outs of Oil Pulling – a mouth-cleaning method that you really want to be taking advantage of – in this, our ‘What is Oil Pulling and What Are its Benefits?’ feature! Unlike a number of holistic remedies and cleanses, no one would consider Oil Pulling a new-age practice. In today’s world, Oil Pulling is known as the process of washing your mouth with oil – accomplished by swishing roughly a tablespoon of oil around your mouth for 10-20 minutes. The origins of Oil Pulling, however, are ancient and well-established. An Ayurveda treatment, Oil Pulling was first done over 3,000 years ago in Eastern parts of the world. Ayurveda, or Ayurvedic medicine, is one of the oldest healing systems in history. As opposed to traditional Western medicine, which is all about healing and fixing whatever ails the body, Ayurvedic medicine is based on promoting and maintaining good health. 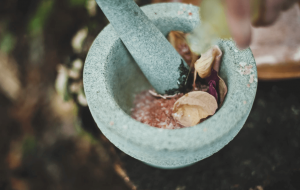 Developed in ancient India, Ayurveda theory states that health and wellness are dependent on a balance of mind, spirit, and body, and that everything in the universe is connected – especially the workings of the body. Based on these principles, it wasn’t only those suffering from oral ailments who would practice Oil Pulling – the method was utilized to promote overall body health as well. Yes, mouth inflammation, mouth dryness, and disease were treated effectively with Oil Pulling, but Ayurvedic medicine worked under the now proven to be accurate belief that the mouth could influence the health of the entire body. The first tangible mention of Oil Pulling we have identified is in recovered works dated between 4th century BC and 2nd century AD, at which point Oil Pulling was a widely practiced method of oral cleaning. One specific kind of Oil Pulling was said to cure over 30 different bodily diseases, from headache, to asthma, to hypertension – in addition to having the power to stabilize the overall health of the body as well. Oil Pulling is known to have surfaced again at various points throughout recorded history. Each time it has been widely adopted and praised for its benefits and effectiveness. However, the exact methodology would change depending on the time period or culture. A range of oils have been considered to be most effective, for example. Still, the baseline, consistent view has been that Oil Pulling just works. Oil Pulling as it is now known, as well as the modernized term “Oil Pulling,” were popularized and re-introduced to the world in the 1990’s by South Indian holistic practitioners. The popularization of Ayurvedic medicine, as well as an increase in the interest in vegetable oil, helped put Oil Pulling on the map once again, where it has remained to this day. Although it is not yet a fully mainstream practice, more and more people are discovering Oil Pulling by the day – all of whom are glad to be experiencing its wondrous effects. As is the case with most holistic remedies and cures, your mileage may vary when it comes to Oil Pulling. However, you’d be hard pressed to find an individual who went on a regimen and did not benefit from it in some capacity. Among the most widely reported benefits of Oil Pulling are improved breath, whiter teeth, cavity and gingivitis prevention, a decrease in chronic jaw pain, improved sleeping patterns, relief of sinus-related problems, headache and hangover alleviation, skin improvement (including acne, eczema, and psoriasis improvements), heart disease prevention, soothing of throat and mouth dryness, cavity prevention, improved lip health, immune system boosting, asthmatic symptom relief, improvement in hormonal imbalances, and more! Not too shabby for one of the most easily practiced remedies you’ll ever come across, eh? The benefits that Oil Pulling can have on the mouth are founded in common sense. No one needs an explanation of how cleaning and moisturizing the mouth naturally can have a positive effect on oral health. The impact that pulling can have on the rest of the body, however, is a bit more scientific. Without getting too complex, what Oil Pulling does for the body is based on the fact that bacteria and contagion can enter the body and the bloodstream easily via the mouth. The mouth is something of a doorway for toxins and unhealthy particles to enter the body. Particles which, if given the chance, can flourish and have an adverse effect on health. Depending on the person, Oil Pulling can have a number of different positive effects on the body. This being in terms of prevention and righting bodily wrongs via cleaning and stimulating healthy blood flow. That is, ultimately, why results may vary. Ultimately, different people suffer from different ailments and physical shortcomings, and can respond differently to Oil Pulling regimens. Check out our Short Hair Curling, Purple Shampoo, and Matrix Biolage features! In a word, yes. Oil Pulling is a great way to clean the mouth, which acts as a gateway to the body. 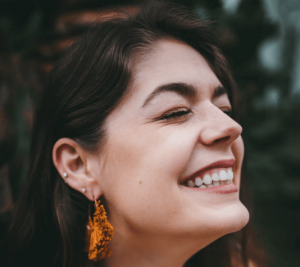 Oil Pulling is not magic – again, results may vary – but it can do a tremendous amount to improve your oral health, as well as promote your overall health and functioning in the body. The friction that Oil Pulling creates can have a soap-like effect on the mouth. In this way, Oil Pulling eliminates bacteria in the mouth, bacteria which could otherwise cause any number of bodily ailments and problems. The bottom line is, everything in the body is connected. Not only can bacteria enter through the mouth and quickly travel through the rest of the body, there is a direct correlation between oral health and the overall health of the body. When oral health is improved, not only is the health of the rest of the body improved, but health risk is drastically mitigated as well. People with poor oral hygiene are at great risk for a number of problems, from cardiovascular troubles to diabetes. When the mouth is healthy, there is less inflammation in the body. Therefore, every part of the body has the ability to function more efficiently. If your body is spending energy fighting bacteria that enters through the mouth, it means your body is constantly being taxed. This leads to a decline in general health across the board. A healthy mouth means a healthy body – and Oil Pulling can give you that healthy mouth. It’s pretty simple, really. For starters, you want to make sure you Oil Pull as soon as you wake up in the morning, which is the time at which that there is the largest amount of bacteria build up in the mouth. Even before brushing your teeth or drinking, you should Oil Pull. By loosening and disrupting bacteria prior to brushing your teeth, it will make your tooth brushing even more effective. In order to Oil Pull follow these steps: Select an oil (more on that soon), measure out 1-2 tablespoons depending on the size of your mouth, and gently swish it around your mouth for 10-20 minutes. This is the ideal amount of time to Oil Pull for because it’s long enough to break through plaque and loosen bacteria, but not so long as to cause the body to re-absorb toxins and bacteria. It’s important to note that you should not swish too hard. You don’t want to end up with a sore jaw and mouth! You should also never swallow the oil. Spit the oil out into the trash after you’re finished and rinse your mouth out with warm water. The oil you were just swishing is now carrying all of the detrimental bacteria that you were trying to eliminate – getting rid of all traces of it is the way to go. Brush your teeth after your mouth is free of oil, and you’re ready to go about your day! 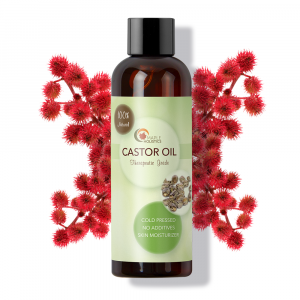 Every kind of oil is going to have a positive effect on the body via Oil Pulling. Don’t stress too much about the kind of oil you’re pulling with! However, there are a number of varying opinions when it comes to which oil is most effective. Traditionally, Sesame Oil has been the oil of choice for modern Oil Pullers. Some note the high concentration of omega-6 acids found in Sesame Oil, however, and therefore favor Coconut Oil. 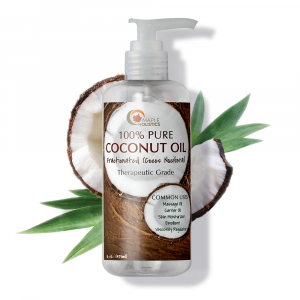 In addition to the lower concentration of omega-6, Coconut Oil is widely thought to have a superior taste, which makes it a popular choice among Oil Pullers. 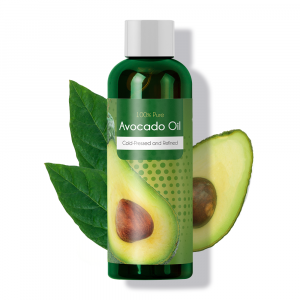 Another option is organic Avocado Oil – the cold pressed and all-natural nature of the oil is thought to make it a great choice for cleansing. 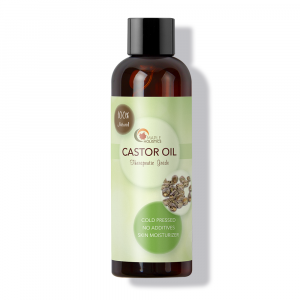 Finally, Castor Oil is a go-to choice for Oil Pullers whose primary concern is teeth whitening, as Castor is thought to have a strong effect on plaque removal and the natural cleaning of teeth in particular. After all of this talk about how wonderful and effective Oil Pulling can be, I just had to try it myself, didn’t I? Not that I’m necessarily the “ideal” Oil Pulling candidate, to be fair. My oral health has always been on the strong side, my pearly whites have been looking pretty white, and I’ve been pretty healthy overall. However, Oil Pulling can help more than those in noticeable duress – as I myself learned. 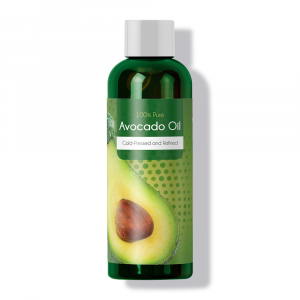 I began Oil Pulling with natural avocado oil – 1.5 tablespoons of the stuff for 12 minutes precisely – every morning for a period of two weeks. I did this before brushing my teeth for maximum effect, and I never once cheated myself in terms of time. The results were impressive, noticeable and satisfying. As previously stated, my teeth have always looked pretty good as I have always been orally hygienic. However, what I didn’t realize is that my teeth whiteness still had a ways to go. I noticed my teeth begin to brighten after just a few days! After two weeks, friends were already asking where I had gotten my teeth cleaned. More so, while I’ve never suffered from particularly bad morning breath, I was never breathing a fresher scent than I was while Oil Pulling. That alone has been incentive enough for me to continue pulling for shorter, more irregular periods of time – think 3-6 minutes a couple of mornings per week. And as for my non-anecdotal oral health, well, what can I say? My teeth felt great before Oil Pulling, and they feel great now. At worst I can say that it certainly can’t hurt! And just to double down on my maxed-out mouth, I’ve been using my own DIY Lip Scrub – check it out! Thanks for learning about Oil Pulling with us! Be sure to check back for more on all things natural – like our DIY Bath Bombs! – here at Maple Holistics! The good news is, a very large percentage of our population does practice some kind of mouth-cleansing process, whether it be tooth brushing, flossing, or even just use of mouth wash. However, if you want to be doing all you can to maximize these efforts, you should be Oil Pulling. Taking care of your mouth is one of the most important things you can do in order to ensure health and quality of life. Not only can Oil Pulling help to improve your oral health, it works to prevent infection and disease in the body, as well as improve the workings of the bodily functions you experience on a daily basis. A simple, safe measure, Oil Pulling can be the difference between you and a healthier mouth and a brighter smile. Ultimately there’s no way of knowing exactly what Oil Pulling can do for you until you actually try it. This why there’s no better research to be done than to Oil Pull yourself and experience its effects. A regimen of daily treatments for at least two weeks is recommended in order to get the full effect. Get started today and see what you’ve been missing!